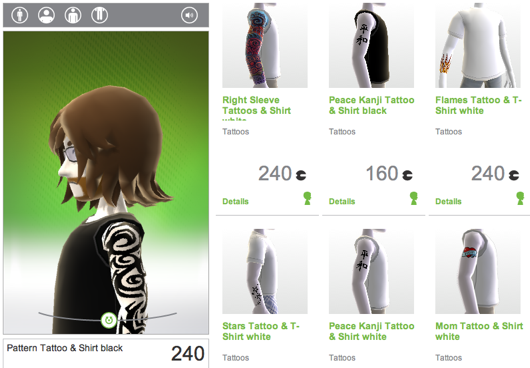 Great news for Xboxlive members, Avatar Tattoos is now available from Xboxlive Marketplace. If you want to make you avatar cool and unique why not try to ink up yours, too. 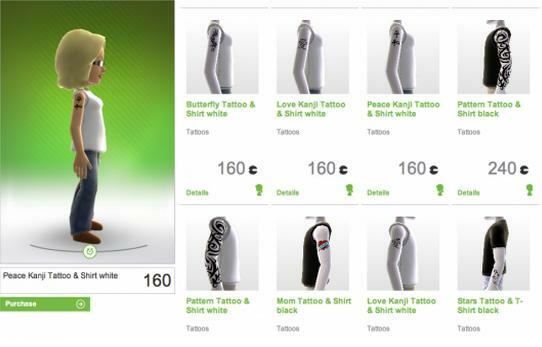 Several different tattoo styles are listed based on you Avatar’s gender and taste. The tattoos available consist of kanji writing, tribal stuff, hot rod flames and more. Tattoos aren’t actually accessories, but rather t-shirts and tank tops with transparent design “sleeves” that replace your existing clothing, meaning that it’s impossible to have a tattoo with anything other than a blank shirt. The range is further restricted if your avatar is a female, absolutely no female items available in black and only on with a full tattoo sleeve.